One of the most common questions from animal loving tenants is whether it’s allowed to have pets in apartment blocks. With The Dog Trust suggesting that up to 78% of pet owners have had issues finding an apartment that allows pets, it’s definitely a problem that needs clarification. Landlords are often reticent to allow pets into their properties for fear of damage and/or excessive noise, so knowing where you stand – and how to go about dealing with this challenge – is an essential part of the process of finding a new home. Your first steps should be to find a reputable letting agent and discuss your requirements, because they may have a list of landlords who own properties that are pet-friendly. Any decent agency will also be happy to put you on their books and inform you if properties become available that might work for you. Whilst your agent should be happy to help in any way they can, it’s still your responsibility to go through your tenancy or lease agreement to check for a ‘no pets’ clause, but we recommend that you never make assumptions if there’s no clause present. It’s far better to double-check than to move into a property and then contest the agreement retrospectively. If you’re lucky enough to find a landlord/leaseholder who’s willing to accept pets in their apartment block, it’s still a good idea to request written permission. Why? Because they may have a sub-clause in the contract that allows them to reverse permission if there are issues once you move in. For example, your pet may be disturbing the neighbours or causing too much damage to the property, so be prepared to be inspected regularly. If there’s no specific clause preventing pets in the property, your request to keep one may be refused by the landlord under a general nuisance clause. 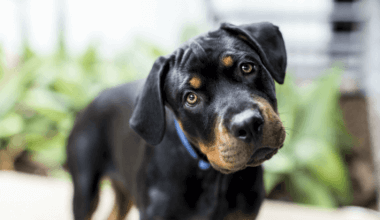 However, without solid evidence that your pet is the cause of the problem, it’s unlikely that they’ll be able to enforce it should you decide to take them to court. It’s worth knowing that even if there is a ‘no pets’ clause in the contract, you can challenge it under the unfair terms regulation in the Consumer Rights Act 2015 and your request has to be considered, rather than being flat out refused with no reason. If the tenancy agreement states that you cannot apply to keep a pet under any circumstances, the agreement is automatically unfair (as per the above clause in the Consumer Rights Act 2015) and, in theory, can be ignored and you may keep a pet. In this case, it’s likely that the landlord will agree to you keeping a pet but you must have this confirmed in writing through a solicitor. If there’s a ‘no pets’ clause present and the contract is written in line with the Consumer Rights Act 2015, but you break this condition, you can expect to be taken to court if you refuse to remove the pet. Of course, the type of pet you request to keep has some bearing – a stick insect in a glass tank is far more likely to be accepted as a suitable pet for an apartment block than a massive Doberman, so there may be some room to find a compromise with the landlord. If you’re on a shorthold tenancy and you keep a pet against the will of the landlord, he or she may refuse to renew your tenancy or evict you under section 21 – and even if your tenancy is an assured long-term one, if the animal is unsuitable they may still be able to have you removed. If you’re the leaseholder or landlord, it makes sense to have a watertight policy written into your tenancy agreements to prevent any confusion. Surprisingly, the law is exactly the same for assistance dogs so don’t make any assumptions, and be sure to go through exactly the same rigorous due diligence before committing to a property. Keeping pets in apartment blocks can be a tricky subject to navigate, but if you understand these simple rights and terms of agreement it should be possible to find a property that’ll work for you and your pet.